An optical filter is used to “attenuate or enhance an image.” An optical filter can also reflect unique wavelengths, split images into two identical images or transmit an image. 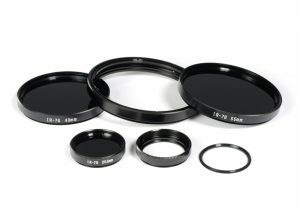 The importance of choosing the correct optical filter for the job you have at hand is crucial because its application will determine the style and fabrication techniques. The bandwidth. This is the wavelength range that denotes the parts of the spectrum of light through which energy will pass through the filter. The central wavelength is the “midpoint between the wavelengths” where the image will be transmitted. You will also need to know the blocking range of the filter. This is the wavelength interval that will be used to “denote a spectral region of energy” and is discussed in terms of optical density. Speaking of optical density… this is the “blocking specification of the filter you’re looking at as it relates to the level of energy that will be transmitted through it. You will be choosing from high optical and low optical densities. If you need to reflect or transmit light you will need to investigate a dichroic filter. This filter works on the ranges of light and wavelengths absorbed and reflected and are typically used on shortpass and longpass applications. Speaking with one of the professionals from UKA Optics will help you to narrow down the parameters for the devices you’re seeking and to assure you are purchasing the correct filters and lenses for the tasks at hand.